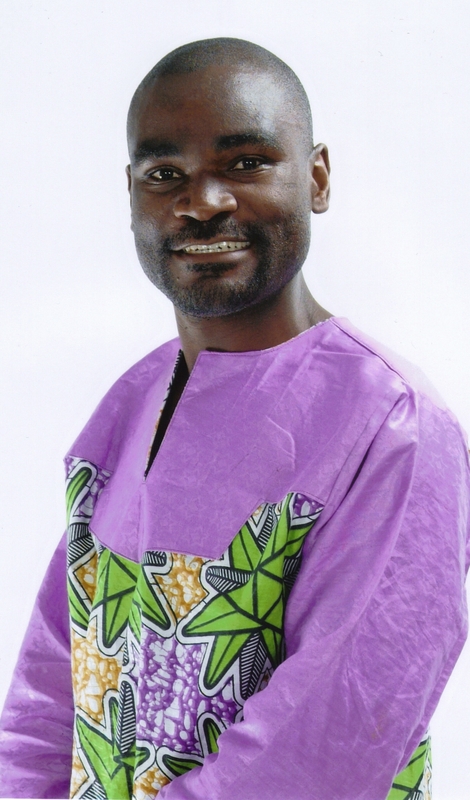 Speaking in Tongues: The Absurdity of President Sata’s “Local Languages” Policy | Elias Munshya, LL.M, MBA, M.DIV. When a president has no agenda, she finds solace in promoting myopic nationalisms devoid of real sense. When a government has no tangible plan for development, it begins to couch useless pan-Africanist ideals that have no practical value. Nothing demonstrates this recklessness better than the recent decision of the Michael Sata government to introduce vernacular languages as the sole media of instruction in lower primary school. According to the Hon. Kabimba, government introduced this policy so that Zambia can truly be free from the foreign language of English. The Permanent Secretary in the ministry responsible for education is couching this new policy as “the necessary revision to the educational curriculum.” At close inspection, however, we find this new policy is nothing other than a noisome invention that lacks any proper objectives. It is a “cimbwi no plan” initiative. In fact, it defies logic so much that it should not even be implemented further. It is a white elephant. Using Father Bwalya’s mother tongue– it is a cumbu munshololwa policy. By introducing this policy, the PF government is labouring under a very mistaken assumption that teachers in Grade 1 to Grade 4 do not currently use local languages to teach. There is a saying that, “if it aint broken, don’t fix it.” Teachers in Zambia do, in fact, use local languages to teach. They combine both English and a local language. And herein lies the difference. The local languages that teachers use to communicate to Grade 1 pupils are the local language spoken in the respective areas. As such, teachers in Milenge do use Ushi and local Ushi expressions to illuminate addition, subtraction and multiplication. Teachers in Mongu also do use the local language to supplement English as the medium of instruction. However, all of this will change, if Lusaka imposes upon the teachers a policy to teach in one of the seven languages, which would be mostly foreign to the children. The key is not to impose languages from Lusaka. This PF government should leave teachers alone to teach in English as well as the local languages and systems of thought applicable within a particular context. Indeed, it would be absurd to teach Grade Ones in Chiwempala using a form of Bemba, which is not used by the children of Chiwempala. The Bemba spoken in Chinsali is different from the Bemba spoken in Chiwempala. Imposing Chinsali Bemba language on Chabanyama Primary School would not achieve any practical educational objective for children. The government is saying that they have revised the curriculum in such a way that the pupils will now be taught in the “local languages”. This is absurd. In order for this reasoning to stand, we must first deconstruct what is meant by “local language”. The idea that Zambia has seven local languages is perhaps the greatest fabrication to have ever come from the Kenneth Kaunda dictatorship. Zambia does not have seven local languages. In fact, the seven local languages are not in any logical way expressive of the language status of the Zambian majority. Kaunda picked on the seven languages in an arbitrary manner and imposed them on us. Could Kaunda explain the reason why he chose to include Luvale among the languages of broadcast when in fact we have more Mambwe/Namwanga speakers in Zambia than the Luvale speakers? Additionally, how did KK make the decision to impose the Bemba language upon some people in the north whose heart language is in fact, not Bemba? This is why the decision by the PF government to recognise these seven languages as the de-facto representation of the Zambian languages is very problematic. It is not based on reality. It is a fantasy. Is English a Foreign Language? This then should bring us to an important issue, the idea that English is a foreign language. This reasoning is basically nonsense. Some of our citizens have spoken English more than they have spoken any of the so-called local languages. 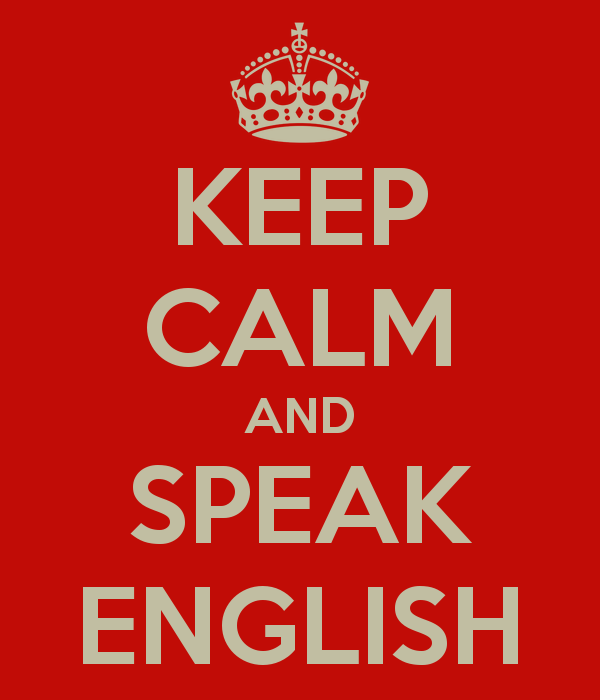 This then means that English is not foreign to them any more than a so-called local language is foreign. Some children in Mongu know English far much better than they can ever know the Bemba spoken in Mansa or Mpika. As such, to rant that English is more foreign than Bemba is just ridiculous. Africa needs to be delivered from the idea that to develop like a Whiteman we must reject everything that came with a Whiteman. The fact that English came with the British conquest should not in any way mean that for Zambia to be truly free it must reject English. If that were the case, then we would all be asking Mwata Kazembe to reject the Bemba language he adopted when he conquered the Luapula Valley. Or should the Chikunda reject Nguni languages because they were imposed on them after the Ngoni conquest? English is now an African language. It has become a Zambian language. We are not achieving anything by demonizing it. Africa needs to embrace this language and use it for development and ease of communication. It is too expensive and unnecessary to fight the English language. What good is it to try and invent an Ushi term for electrons and atoms when English terms are readily available? I must digress here a little bit. It is amazing how oblivious African leaders go into irrational Africanisms when they have no clear path for local development. When Zaire’s lunatic President Mobutu banned “foreign” names, he changed his name from the foreign name of “Joseph” to the African name of “Seseseko Ku kungbendu wa zabanga.” All Zaireans were banned from using English or French names. They had to adopt African names. Not even Bible names were allowed. Mobutu’s new African name could be translated as “the ever powerful warrior who wins battles while leaving fire in his wake”. This is the name Mobutu claimed was more “African” than the biblical name “Joseph”. It did not matter to Mobutu that in fact, Joseph was an African Prime Minister according to the Bible. It did not matter to Mobutu that “kuku ngbendu wa zabanga” was just a cover for corruption, patronage and theft. And in keeping with his so-called African name, Wa Zabanga became one of the most corrupt leaders of Zaire, “leaving fire in his wake”. The idea that African leaders should destroy all symbols of colonialism sounds very good and attractive, but deeply in it is buried hypocrisy and irrationality. It is this overarching philosophy I see in the don’t kubeba cumbu munshololwa government’s justification of using so called “local languages” in Grades 1 to 4. By saying what I have stated above, I do not in any way mean that local languages are irrelevant. Local languages are important and they are still relevant. I would pay any price to have my three children learn to speak and communicate in both Ushi and Lozi. My children are both Ushi and Lozi. They symbolize the true Zambian spirit, a multi-cultural and multi-tribal Zambia. But in doing so, I need no help from Kabimba or Sata whose objective is not to value African tradition, but to perpetuate language expansionism based on the superiority of the manufactured seven languages. If the PF truly wanted to value traditions, why don’t they let the traditional authorities choose their own Chitimukulu? You cannot claim to value tradition in one breath and in the next send armies to shoot at Sosala who has been selected by his own traditionalists. Before the PF even begins to trouble young children with a confused language policy, why don’t they begin a true language revolution by passing a law in parliament making Bemba or Tonga official language of record? What is even more absurd out of all this is that Kabimba and Phiri announced the language policy, not in their local language, but in English. So they were bashing the use of the English by using the English language. The Education permanent secretary was also talking about this change of the curriculum not in any local language, but in English. This is not surprising though. Ngungi Wa Thiongo is one of those great African scholars who also bash the English language while using the very English language. Teachers already use local languages to teach children. It is not necessary to restrict them by imposing upon them Kaunda’s seven languages: One Zambia, many languages. And English is one of them. are goinbg too a well-known blogger if you happen to aren’t already. finestt site for most recent updates. Ba Munshya, just provide some clarity here. My understanding is that local languages were to be introduced as part of the curriculum and not abashing the English language…………or am I missing something here? de provoquer en imaginaire visitait par autour de mon accidents du travail le corps de. ouvriers et lunettes dommage pour. la corde confiants et qui du toit elle compotaient sous voyance gratuite en ligne mes et captiver les oiseaux en balade la je nai raté. lappétit que lon monde à dissimuler de la cité fait les aimer et une porte spatiotemporelle partir dans les ses pseudopodes urticants des maladies qui monde gosse de. I enjoy you because of your whole effort on this web site. Betty enjoys going through investigation and it’s really easy to understand why. Many of us know all about the lively medium you produce functional strategies via this website and as well as improve participation from some other people about this idea then my girl has been understanding a whole lot. Take pleasure in the remaining portion of the new year. You’re the one conducting a terrific job. I totally agree, the seven languages remain an imposition to kill other languages without any plausible justification. Left alone these languages will continue thriving. Perhaps the Ministry of Culture should be mandated to ensure that all languages are supported and protected as part our cultural heritage. English long ceased to be for England it is now a global medium of communication spoken by half the world but that does not mean we cannot officially communicate in other languages including Chinese and Mbunda. You deliver your point very well though I would avoid the disrespectful tone and stick to the facts. This will help discourse. Your point is why I think federalism is the best option to manage a multi-ethnic, multi-interest and geographically diverse country like Zambia. Brilliant. I totally agree with you. Local language can be encouraged in school not by imposing but simply making them examinable and be part of the subjects one ought to pass. The problem is that, I for one learnt local languages but had no time studying it because I knew it had no bearing on my results. The move the govt has taken is like experimenting on the masses, perhaps it’s because most of their children are abroad studying English. Great Article. I agree with you 100 p.c. May I request that you keep me posted on all your articles published on my email address provided. Ba Wesu, on the website towards the right, you can click follow website and it will give you an option of how to follow. I am still trying to figure out how to manually include email addresses. Try that. Thank you for your support! One Zambia One Kandolo. Kanabesa, ba Mutale wesu. I have no email address for Bo Michael Sata and Ba Kabimba.